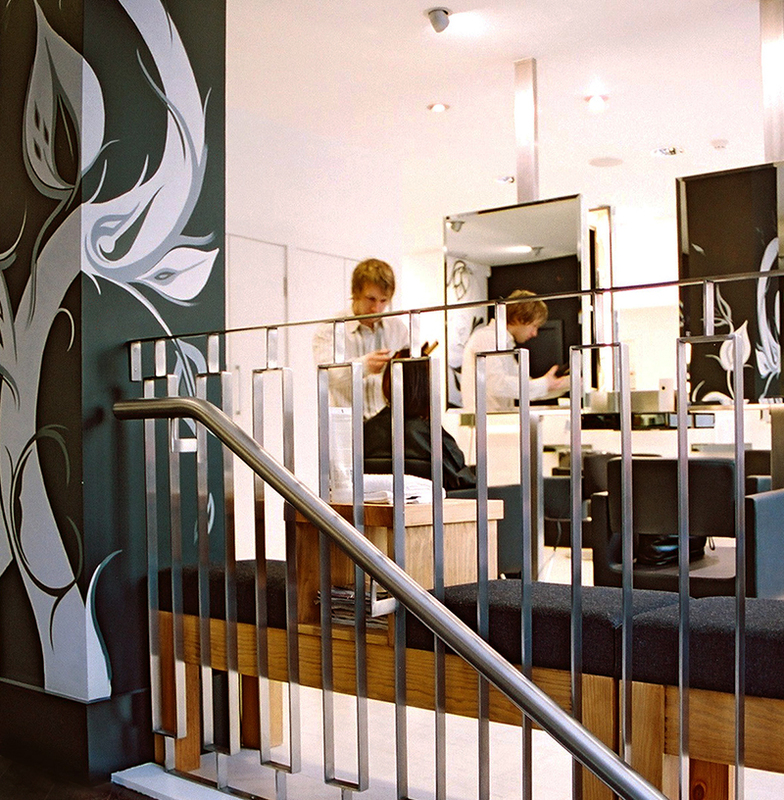 When briefed to design the flagship salon for David Rozman hairdressing, it was important to incorporate the company’s ethos ‘The Hair Experience’ into the salon’s image. 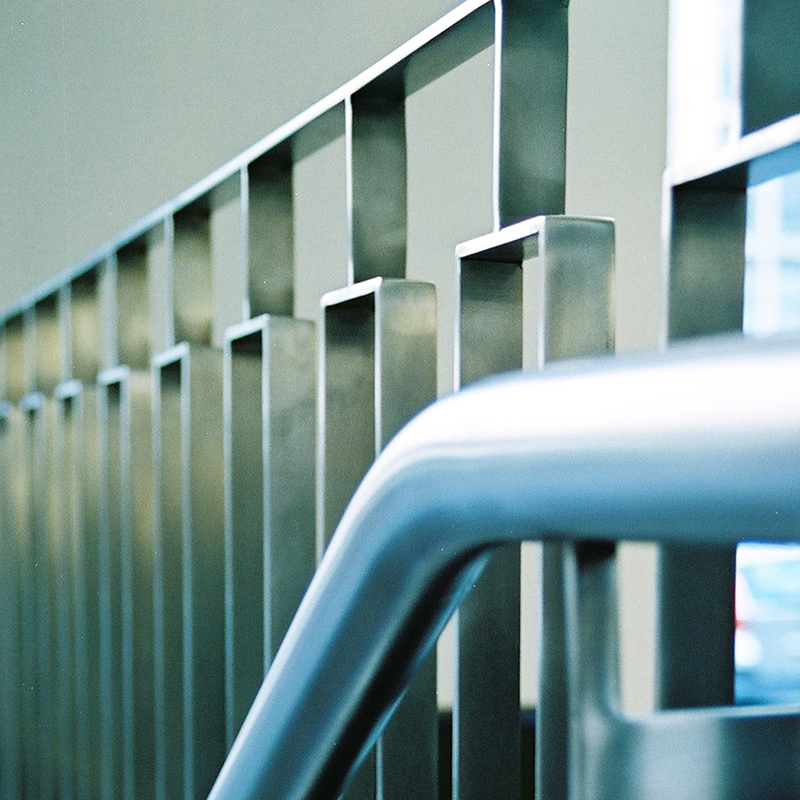 With a generous budget and a prestigious image to maintain, we sought to create a relaxing and indulging experience for customers through a sleek and luxurious design. 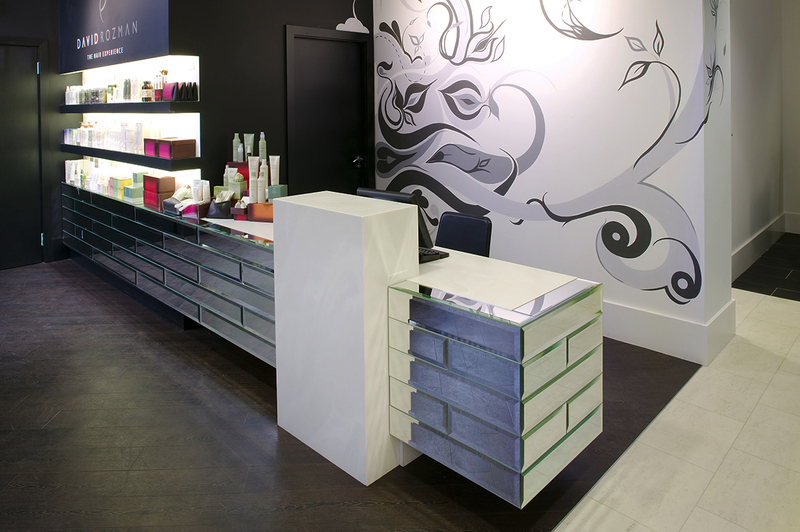 We achieved this by using mirrored glass tiles along the reception wall to create space in an opulent way. Lighting for purpose was also important to the success of the space. 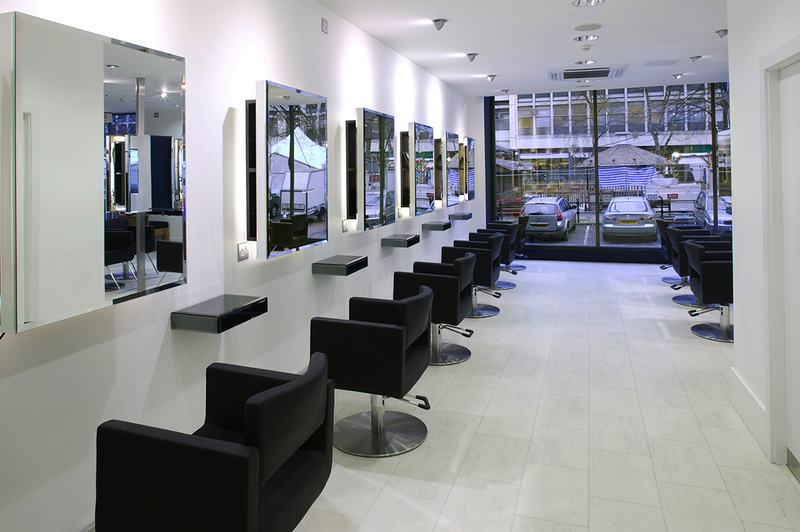 We achieved a stylish and bright atmosphere with the selective use of spotlights and further encouraged product sales by brightly lighting the salon’s display shelves. The wall graphics were individually designed and hand-painted by a local street artist. 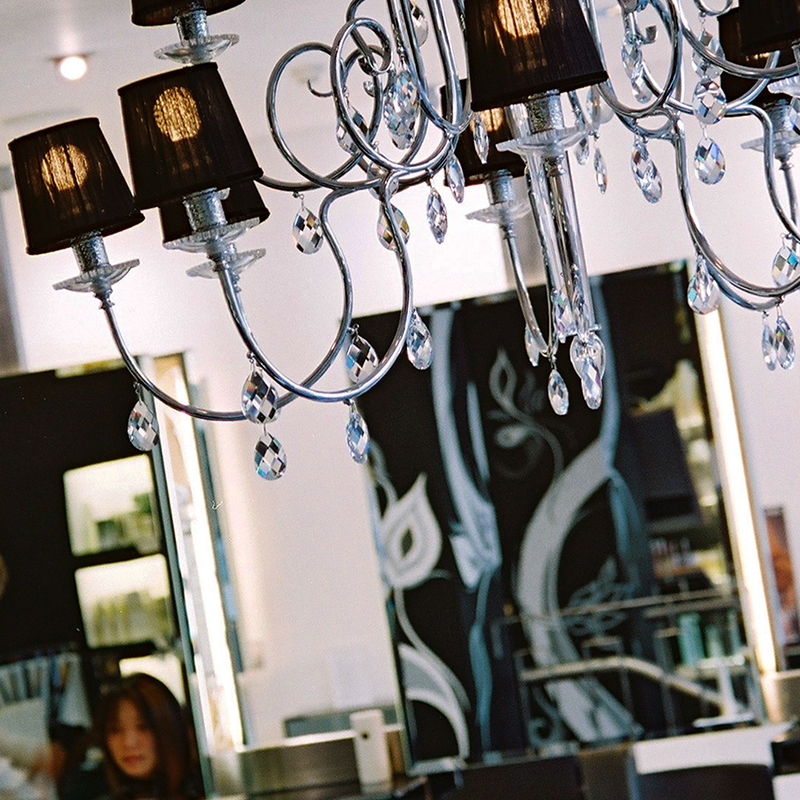 We believe the selective detail of this element provides the space with a unique edge that transforms the salon into a luxurious and exclusive destination. 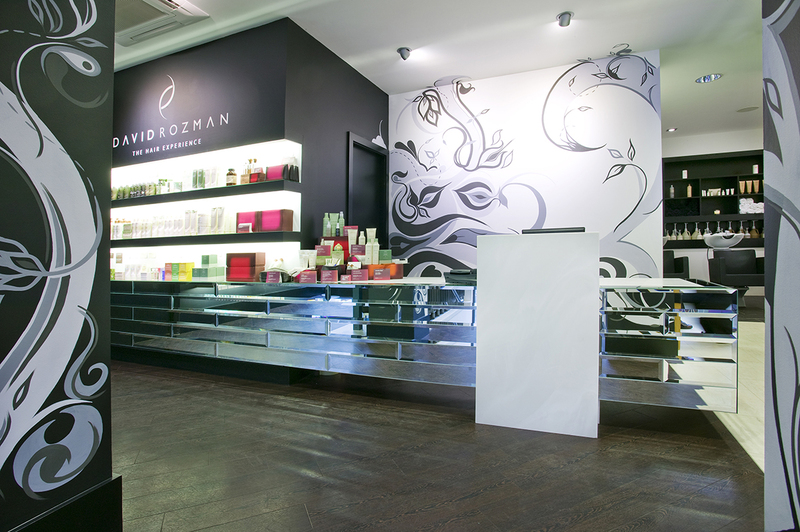 David Rozman was awarded ‘Manchester’s Best Hair Salon’ at the English Hair & Beauty Awards in 2012 and named ‘Best Hair Salon 2016 – Manchester’ by Corporate Vision Magazine in the 2016 Small Business Awards.